A Michigan native, Shira Johnson, IBCLC graduated from the University of Michigan and spent the next decade hopping around the U.S. pursuing adventure and education. Her various interests include yoga, psychology, women’s studies, child development, nutrition and holistic health. After starting her own family, she found that her many varied interests culminated in a passion for serving moms and babies. In 2016 Shira completed the Lactation Consultation program at Birthingway College of Midwifery in Portland, Oregon, and sat for the board exam to become an IBCLC (International Board Certified Lactation Consultant). Shira recently relocated, with her husband and their two children, back to her home state. She is thrilled to be in Grand Rapids to serve the diverse population of West Michigan families. Shira is committed to providing parents with the support and resources they need to make the very best choices for their babies and families. 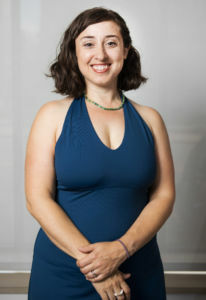 She continues to seek training and education in several areas that support her work with families, including nutrition and food sensitivities, herbal medicine, oral restriction/tongue-tie, postpartum wellness, primitive reflexes, and Rhythmic Movement Training (a unique movement-based program that uses simple movements to support optimal neurological development). 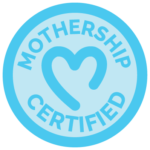 In 2017, Shira became a Mothership Certified Health Service Provider. Lactation consultants provide a wide variety of care, assisting with issues from the simple to very complex. Though natural, breastfeeding is not always easy or straight forward! Shira breastfed her own two babies and had two strikingly different experiences, exemplifying how every mom-baby pair is truly unique. Whether a mother breastfeeds for three weeks or three years, an IBCLC can assist at any point during the breastfeeding relationship, to help families reach their individual goals, whether exclusive breastfeeding, pumping, bottlefeeding, supplementing, weaning, etc. Shira is passionate about empowering mothers. 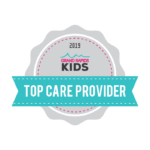 She believes that all parents deserve compassionate, unbiased and well-informed care, and this shows through her commitment to provide this for all the growing families she has the privilege of working with. Shira is amazing, incredible, compassionate, empathetic, intuitive, and a wealth of up-to-date information on the latest lactation research! If you have a question she doesn’t know the answer to, she will seek it out. Shira saved my breastfeeding relationship with my baby when I was at the end of my rope due to a multitude of problems that all happened at once. Shira is very knowledgeable and does a great job in covering all aspects of breastfeeding. I feel prepared taking this on as a new mom because I know what to expect after taking this course. If I have issues, I now have many resources for help! Shira encouraged me, helped me develop and focus on a plan, and connected me with providers that could help in other areas of expertise! Shira spent so much time with my baby and me, really getting to know us and our challenges, so she could provide the best possible course of action and information so we could be successful. Shira truly cares, has a wealth of information and strategies to try, and is truly talented at this vocation. I am so thankful for her and her expertise! I am a second time mother who struggled and ultimately failed to breastfeed my son. I learned a ton in this class and feel much more confident and prepared to have success for breastfeeding my daughter. It’s important for women to be well-informed about breastfeeding and having a knowledgeable and supportive teacher is crucial. Negative experiences are too common. The class size was intimate, giving plenty of opportunities to ask questions. Shira is very knowledgeable, and the information was very helpful. My husband was very glad he attended with me.